Getting to and from campus can be stressful-worrying about arriving to class on time with morning and evening traffic is tough. For those students who live off campus without a vehicle or do not want to purchase a decal, the bus system is the best option. Students with a valid USF 1 ID card receive fare-free access to bus service. All students may ride any bus anywhere in Tampa including campus, fare-free, by simply presenting their valid USF ID card to the driver. As a fourth year student, I know how difficult it can be to find parking on campus as well as get around in general. Luckily, USF makes it easy for students to get around with their BullRunner bus program. USF students and faculty with a valid USF ID card are afforded free fare access and visitors must be accompanied by someone with a valid USF ID card unless they are daily bus pass holders. The BullRunner makes several stops on campus and also services the several USF-sponsored student housing locations off campus as well. The BullRunner also acts as a free shuttle to home football games, to and from Raymond James Stadium. Students are able to track stops in real time using the BullTracker free mobile app. All buses used on Bull Runner routes are equipped with a lift or ramp to provide ADA access. Passengers with disabilities or with seriously reduced mobility may use the lift or ramp. All mobility devices must be secured on our buses. The Bull Runner uses a four-point Qstrant securement system. Students who use adaptive equipment (walkers, crutches, wheelchairs) and service animals, may call the USF Bull Runner to notify staff that an accessible space on a specific bus route is needed. Students should place calls to (813) 974-6902. Inform the dispatch office of your name, the bus route you will be using and the bus stop where you will board the Bull Runner. Calls should be placed 30 minutes prior to when the student wishes to ride the Bull Runner. 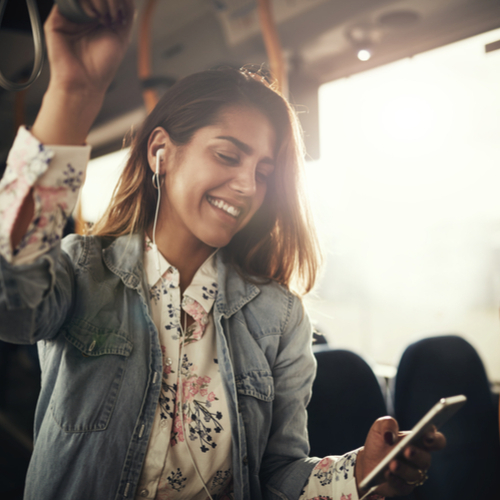 If students need to go further off campus, USF has partnered with HART Public Transit to allow students with a valid USF ID card to ride HART Local, Limited Express, MetroRapid and Flex routes for free. Speaking from personal experience as a fourth-year student at the University of South Florida, I have used the public transportation system and it has been a great way to get to and from campus. There are many bus stops that are covered, and each bus has a bike rack available for two bikes too. For students who live off campus and do not have a vehicle or prefer not to purchase a decal, the bus is the best option.